Email marketing is alive and well. Although the rise of social media and blogging have added to the digital marketing landscape, neither has replaced email as an essential tool. Keep reading to get answers to your questions about the current return on investment, average open rates and today’s best practices. What Is the ROI of Email Marketing? While mailing flyers requires paper, printing and postage, email requires none of that. It’s also direct, always going to exactly the person you’re trying to reach. As a result, it should be no surprise that the return on investment is great. According to the Data & Marketing Association’s 2017 Response Rate Report, email has the best ROI of all the methods studied, at 124 percent. The cost-per-acquisition is also the lowest, at $10.32. For companies trying to get the most bang for their buck, email can’t be beat. What Are Good Open and Click Rates? The average person receives dozens of emails every day and deletes many of them unread. Given this, you can’t expect everyone on your email list to read and engage with your email. At the same time, if nobody reads or engages, your emails are failing. So where’s the middle ground? What are good rates? Two measures are commonly used to assess this issue. The open rate tells you how often your emails are opened. The click rate tells you how often readers use the links in your email – that is, how often your email succeeds in getting people to do what you want them to do. You can expect the open rate to be much higher than the click rate. MailChimp analyzed the numbers and found that the average rates varied by industry. The average open rate was between 15.22 percent and 28.46 percent, while the average click rate was between 1.25 percent and 5.13 percent. The source and longevity of your list can impact open and click rates as well. Purchased lists perform at lower rates, while well-established customer or contracted broker lists perform better. To improve the chances that your email will be opened and read, timing matters. It doesn’t take much thought to realize that an email sent on a Saturday at 2:00 a.m. is likely to get buried under a slew of new emails by Monday morning, decreasing the odds that it will get much attention. Clearly, Saturday night is not a good time to send your marketing emails. Multiple studies have attempted to answer this question. CoSchedule looked at 10 of these studies to find the most definitive answer. According to their analysis, Tuesday is the best day to send emails, while Thursday comes in second. The best time is around 10:00 a.m.
Sending your emails at 10:00 a.m. on a Tuesday may improve your open and click rates, but only if the email itself is enticing. Use strong subject lines. Just like blog titles, subject lines matter. Check out Constant Contact’s 12 tips for better subject lines. Pay attention to the sender name. HubSpot did some testing and found that adding a person’s name to the company’s name in the sender name improved the click rates. Personalize your emails … IF you have a reliable, accurate database. People are more likely to engage with emails that are personalized with their name, their company or other unique details. That said, merging these details can increase the likelihood of a mistake if your database is not accurate. Include a powerful call to action. Your emails are supposed to serve a purpose. Make your intent clear with a simple but strong call to action. To learn more, check out Campaign Monitor’s examples and tips. 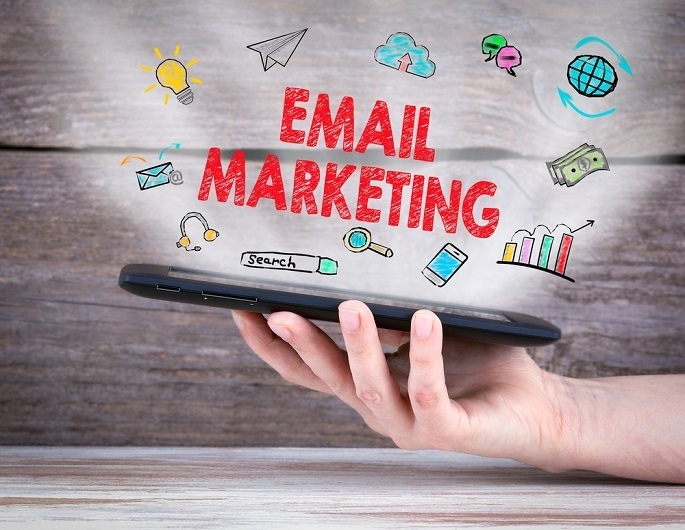 Ready to launch your email marketing campaign? Learn more about our insurance email marketing services and 10 reasons your email may underperform.